Not necessarily, NHS guidelines say babies can swim before they are vaccinated. Thousands of babies across the world have been taken swimming before being immunised. Absolutely! This is a big moment in your child’s life. Either parent/guardian, or even grandparents can take your little one in the pool. Please note that the person swimming with your child must be a responsible adult! Due to space at some venues we only allow one adult in the pool, with additional family members watching from the side. At the moment we are operating from two pools with 8 classes. Classes can be booked through the website and are on a first come first served basis. Interest in our classes are very high at the minute so we are looking to expand our classes and timetable. Should I feed my baby or toddler before swimming? We recommend trying to feed your child 2 hours before our swimming lessons to avoid upset stomachs when in the pool. Swimming can be thirsty work for your little ones so come prepared with a good snack and water for after! When taking my daughters swimming they used to love a banana after swimming! All Dinki Divers must wear a disposable or reusable paper swim nappy underneath a neoprene nappy. To ensure our next class of Dinkies enjoy their visit, can you please ensure you always take away your used nappies! Can I still bring my child if they have a cold? Babies and toddlers often get colds. If you think they are fine to swim then bring them along. If they have a bad cough or high temperature then we don’t advise you to bring them along. If you are unsure what to do you can always contact your doctor. Our lessons start at the allocated times given and last 30 minutes. So we don’t get overcrowded we suggest to arrive 15 minutes beforehand, leaving enough time to get changed and make your way to the poolside. Here at Dinkies Swim School we are committed to looking after the safety of your child. We take every aspect of their safety very seriously. 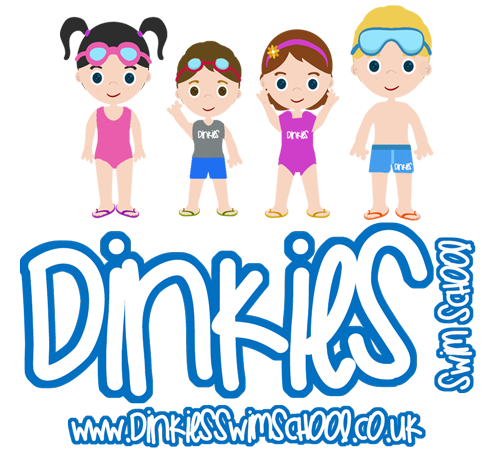 We aim to provide an environment in which all our Dinkies swimmers have a safe, positive, fun and interactive experience. As you are aware, we need to hold information on file about our Dinkies swimmers and their parents/guardians. We take great care of your and your child’s data and won’t pass it to anyone who doesn’t need it. We take full responsibility for yours and your baby’s personal data at all times. See our data protection policy.